From Sketching Classicism to exploring the historic Princeton University Eating Clubs, Traditional Building Conference attendees hit the sunny sidewalks of Princeton and its architecturally resplendent campus for an immersion in historic restoration, renovation and traditional building, on July 18-19. Following the theme: Materials and Methods, Ray Tschoepe, Director of Conservation at Fairmont Park Conservancy, kicked off the first day of education with a session titled, Spalling, Rust, and Rot. Mr. Tschoepe presented methods for mitigating these common problems before they cause damage to historic buildings. With a nod to the popular Ted Talks, the traditional building conference introduced its first series of Traditional Takes; short presentations grouped around a common theme. The audience agreed that the sharp, focused delivery and addendum panel discussion was a worthy format for learning. 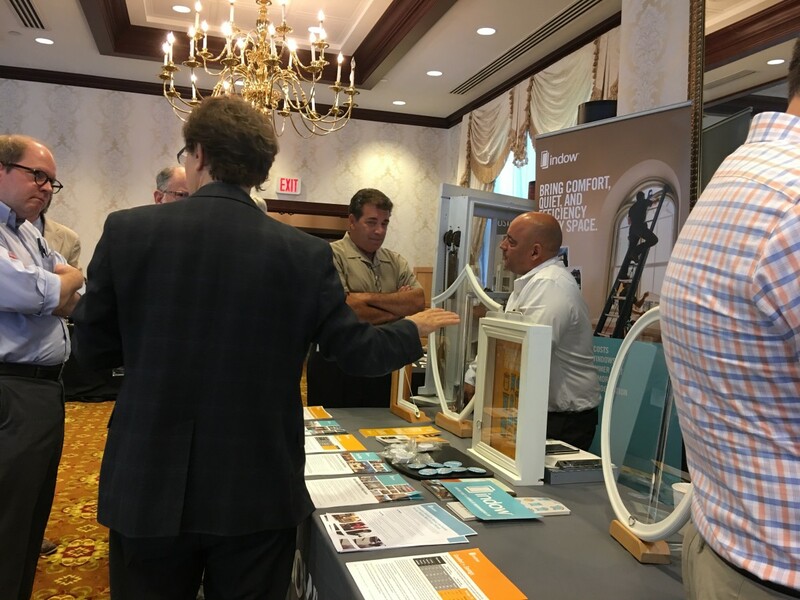 The topics were Shutters, Storms and Glass and Traditional Materials; Contemporary Technology, which covered clay tile, stone, and decorative metals. Several architectural tours reached their capacities: The Eating Clubs of Princeton with Clifford Zink and James S. Collins; Sketching Classicism with Alvin Holm; Roebling Lofts with Michael Nelson, Michael Goldstein, Clifford Zink and LJ Lindhurst; and Julis Rabinowitz and Louis A. Simpson Buildings with the construction project team: Lorine Murray-Mechini, David Jesson, and Ronald Opitz. 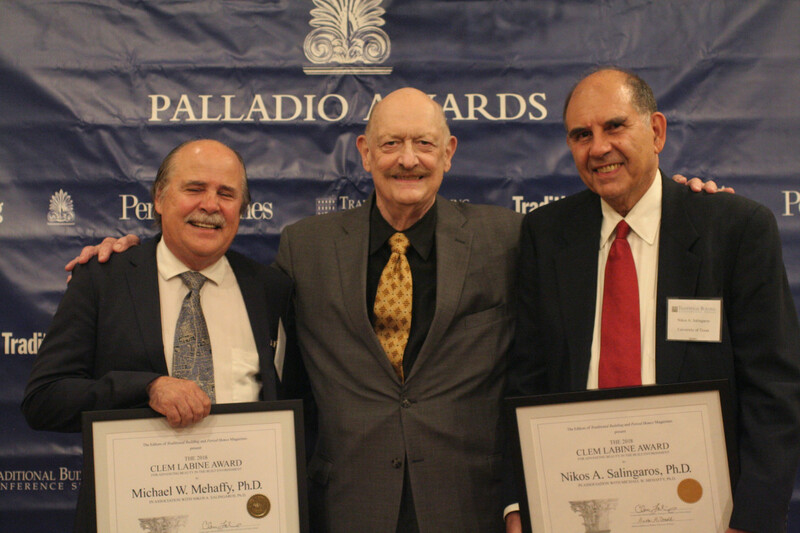 The Art and Science of Architectural Beauty was the focus of a power panel of speakers: Donald H. Ruggles, AIA and this year’s Clem Labine Award winners: Dr. Michael Mehaffy and Dr. Nikos Salingaros. David Howell, AIA and Michael Mills, FAIA presented a fascinating case study of the restoration of Cleveland Tower and Princeton’s High Reach Masonry program complete with audio clips from the beloved Princeton University carillon. Phillip James Dodd, designer and author, rounded out the program with his talk on Contemporary Traditionalists. 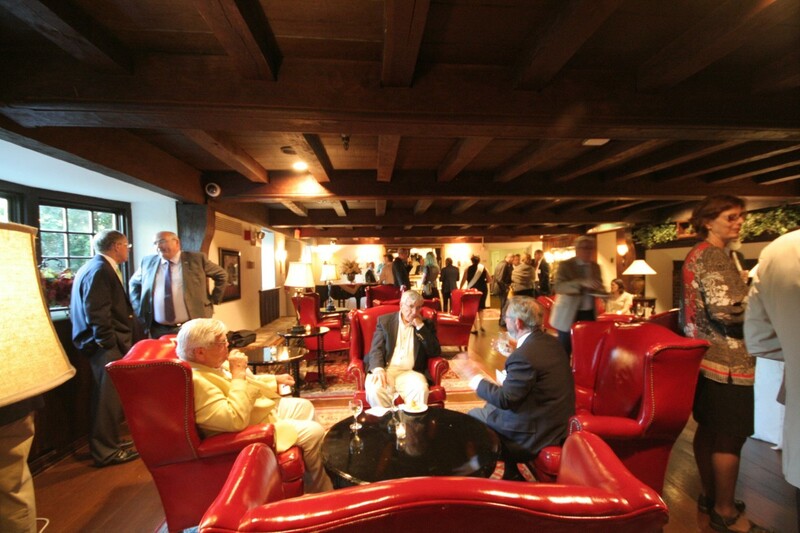 On the eve of the first day of the Traditional Building Conference, the annual Palladio awards ceremony was held at the historic Nassau Inn. Fifteen Palladio Design Award winners walked away with a handsome awards statue. Their award-winning work is featured in the June issue of Traditional Building and the July issue of Period Homes. The sponsors, leading practitioners and providers of specialty products and services for the historic preservation and traditional building markets, included the following Platinum Sponsors: Allied Window, Crown Point Cabinetry, Historical Arts and Casting, Ludowici, Marvin Windows and Doors, Pilkington North America, The Unico System and Wiemann Metalcraft. Bronze sponsors included: Boral, Crittall, Brent Hull & Company, Indow Windows, Innerglass, Kuiken Brothers, New Horizon Shutters, Nostalgic Warehouse, Old World Stone and Vintage Homes and Millwork/BD Builders.